Rainforest Pottery is a collection of clay products created by Nicholas Young. He uses contemporary versions of Amerindian motifs as decorative elements and develops his own clay bodies from Guyanese kaolin and natural red clay. The result is art that is deeply rooted in Guyanese nature and culture and tells stories not only of its rich past but enduring present. With a rich history and tradition of craftsmanship behind him, through his works, he preserves the legacy of ancient civilizations. Nicholas Young focus is to promote local and regional art and he has exhibited with groups under the Design Caribbean banner and soloed throughout the Caribbean, North America, England and parts of Europe. 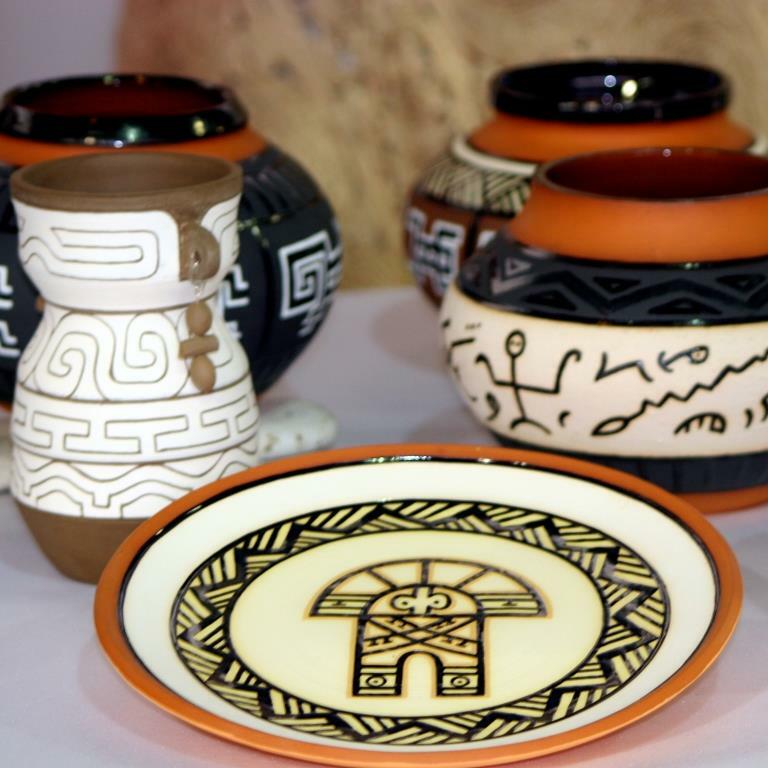 Pottery is hand thrown on a potter’s wheel, hand designed and hand painted using authentic Amerindian motifs producing pieces that are functional and nonfunctional.